Why should kids have all the fun?! Jump into action with improv! Whether you're looking for a way to strengthen your performance skills, a way to improve your public speaking abilities, or simply looking for a fun new hobby, the lessons you can take away from an improv class are valuable in all walks of life. You don't need to be a performer in order to benefit from training in improvisation! The TbT Team will introduce participants to some of the important building blocks of improvised performance, including active listening, learning to say "yes" to our scene partners, and the fundamentals of effective storytelling. By combining focused acting exercises with hilarious improvised games, we'll learn what it takes to create fully realized characters and scenes and have a lot of laughs along the way! 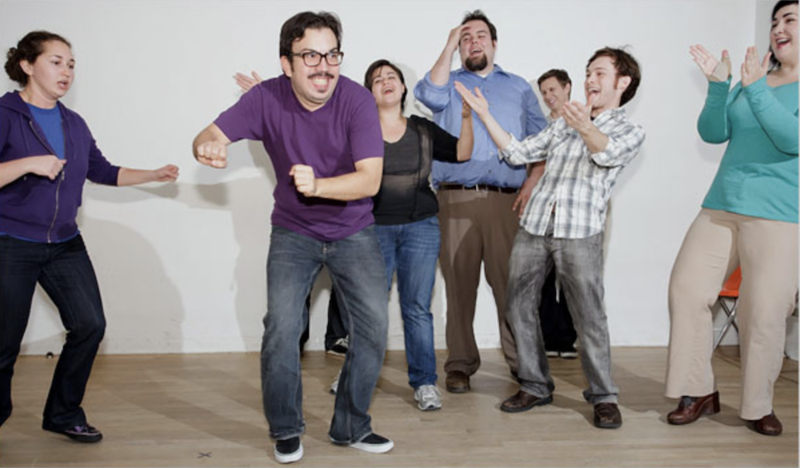 Since improvisation is focused on the process and not the product, participants of all skill levels are invited to join in the fun and explore their silly sides in this supportive and low-pressure environment.